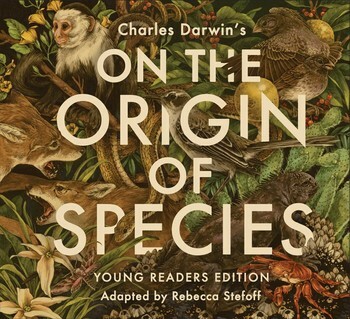 Out now from Atheneum Books for Young Readers, a division of Simon & Schuster: my Young Readers Edition of Charles Darwin’s landmark book On the Origin of Species. I’m immensely proud of this work, and I hope you will enjoy it. Bonus: it’s not just for young readers–it’s for anyone who would like a shorter, easier-to-read Origin. On the Origin of Species has been called the most important book ever written in science. I’ve shortened and streamlined the text, making it easier for modern readers to understand. I’ve also added a glossary, lots of illustrations, and sidebars that bring the science up to date and explain new discoveries in evolution since Darwin’s time. One of the most exciting projects of my writing career was A Young People’s History of the United States. It was a chance to bring the work of a great scholar to a new audience of young readers. Famed historian Howard Zinn published A People’s History of the United States in 1980, then updated it over the years. He focused on the “ordinary people” who are often left out of official history books–including young people who helped shape history. Zinn was especially interested in people and ideas that challenged the forces of oppressive government and big business. His probing look at American history, with its emphasis on stories that are often neglected, became a bestseller. I’m honored to have been chosen to adapt the 2003 edition of this important work into an American history for younger readers. 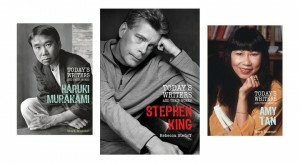 Stephen King may be the most famous modern writer in the world–and he’s written more books than most of the others. I love good horror fiction, so it was a blast to research and write this 2011 biography for teens–and a true pleasure to receive this glowing starred review from Booklist. The book not only covers King’s life and career but also offers critical interpretations of the King stories and books most often found on school reading lists.